SPAM® Monkey Bread is the grand-prize winning recipe in the national recipe contest, the Great American SPAM® Championship. 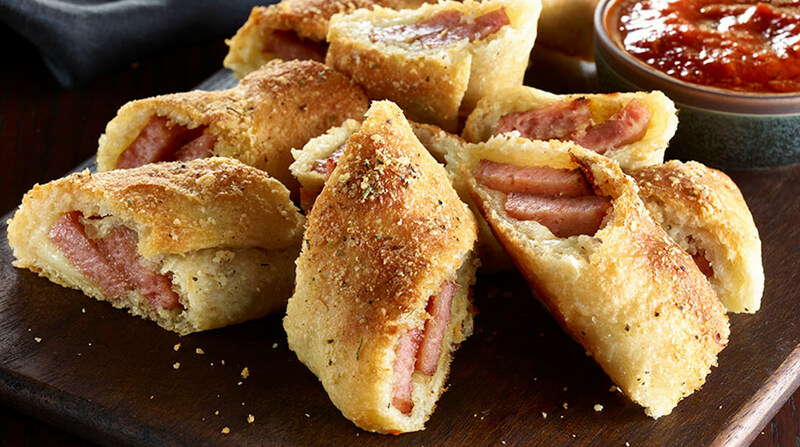 The award-winning creation combines cinnamon sugar-coated biscuit dough and SPAM® with Real HORMEL® Bacon. It’s topped with a browned butter-bourbon sauce and baked in a fluted tube pan. Find the recipe on http://www.spam.com/recipes/spam-monkey-bread. 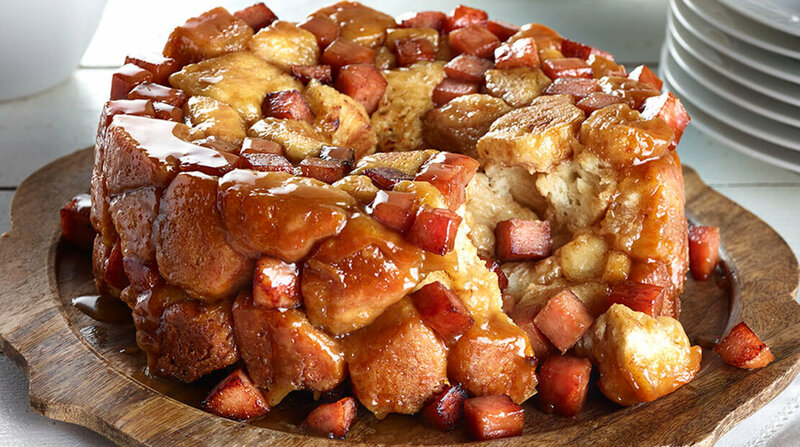 SPAM® Monkey Bread comes from Jim Cutler, a home cook from Springfield, Illinois. He first won with the sweet-savory creation at the 2017 Illinois State Fair in Springfield. He now wins a $3,000 all-expense paid trip for two to SPAM JAM® Waikiki Festival (April 28, 2018). Grand-prize honors also went to 8-year-old Alex Martin-Fonseca for his SPAM® Crunchy Nuggets. The creative youth from Allentown, Pennsylvania, initially won with the recipe at the 2017 Great Allentown Fair. He now wins the title of “National SPAM® Kid Chef” and a $2,000 cash prize. 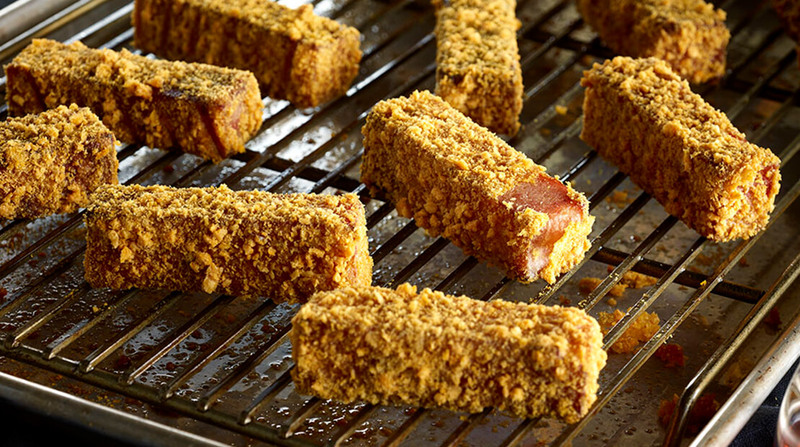 SPAM® Crunchy Nuggets are strips of SPAM® Classic drenched in a flour/egg mixture, coated with sweetened corn and oat cereal crumbs, and baked to a crispy texture. The nuggets pair deliciously with maple syrup for dipping. Find the recipe at http://www.spam.com/recipes/spam-crunchy-nuggets . There were 650 entries overall in the Great American SPAM® Championship. SPAM® Monkey Bread and SPAM® Crunchy Nuggets rose to the top from 52 finalists across the country. Other recipes ranged from SPAM® sliders, tacos, and pizza rolls, to wontons, stuffed peppers, and a SPAM® donut sandwich. The Great American SPAM® Championship from Hormel Foods has celebrated the iconic canned meat annually since 1991. Local competitions are hosted at 26 U.S. state and county fairs, between June and November. All first place winning recipes advance to national judging, conducted in the Hormel Foods test kitchens by their staff. The 2017 contest called for classic recipes with a super-simple, crave-able twist. Find both grand prize winning recipes and hundreds more at SPAM.com. Preheat the oven to 350 degrees F. Thoroughly grease a 10-inch fluted tube pan with cooking spray. Dice the SPAM® product into 1/4-inch cubes. In a skillet, brown SPAM® product over medium heat until crisp. Transfer to a paper towel-lined plate to cool. Meanwhile, cut each biscuit into 8 pieces. Combine sugar and cinnamon in a large plastic bag. Add biscuit pieces in small batches, seal and shake until pieces are evenly coated. Layer 1/3 of the diced SPAM® product into pan. Layer half the sugared biscuit pieces on top, then sprinkle with 1/3 more of SPAM® product. Top with remaining biscuit pieces and remaining SPAM® product; set aside. In a small pot, melt butter over medium-low heat and continue cooking until browned, about 5 minutes. Whisk in brown sugar, honey, and bourbon until smooth. Pour evenly over biscuits. Bake 30 – 35 minutes or until biscuits are cooked through. Allow bread to cool slightly, then flip over onto baking sheet or platter and serve immediately. Preheat oven to 350 degrees F. Cut the SPAM® Classic into 16 equal-size pieces; set aside. Crush cereal to resemble bread crumbs; place in bowl. Place flour in a second bowl. In a third bowl, whisk together the eggs and milk. Dip each SPAM® piece into the flour, then egg/milk mixture. Repeat one time, then generously coat each in cereal. Place on baking sheet. Bake 20 minutes or until golden and crisp. Turn pieces about half way through. Serve with maple syrup or your favorite dipping sauce. Preheat oven to 400 degrees F. In small bowl, combine garlic powder, Parmesan cheese, Italian seasoning, and olive oil. Set aside. Line a rimmed baking sheet with foil; lightly grease with cooking spray. Remove pizza dough from can; unroll onto the foil. With a small knife, cut dough into 3 long strips. Brush top of the strips lightly with olive oil. Slice the SPAM® Classic into 1/4-inch slices then slice in half again lengthwise. Lay the SPAM® slices into two rows down the length of each dough strip. Sprinkle 1/3 of the cheese over each dough strip. Starting at the long end, roll each dough strip until it forms a long log. Finish rolling so that the seam is down. Lightly brush the logs with olive oil. Bake until light brown, about 12 minutes. Brush the tops generously with garlic mixture. Return to oven for another 5 to 8 minutes or until golden brown. Let cool for 10 minutes. Transfer pizza rolls to a cutting board. Slice into 1 1/2-inch pieces. Serve immediately with pizza sauce for dipping.